The MTV Video Music Awards are one of the biggest recognitions in the music industry and in this guide I’m going to show you how you can vote for them outside the US. 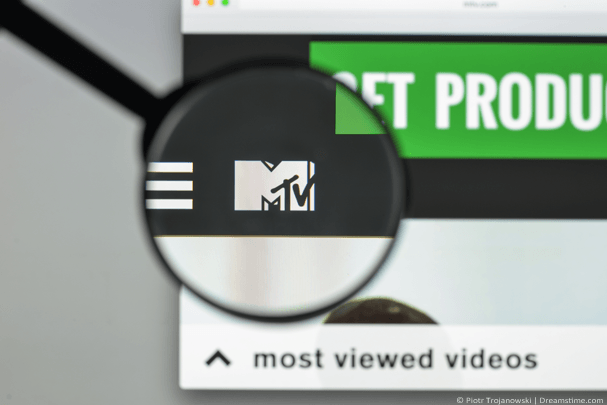 MTV is quite possibly the most well-known music network across the world. It’s available in nearly every country on the globe and where artists are made. The Video Music Awards are one of the most prestigious awards to receive and if you’re after helping your favourite artist receive one then you’ll want to vote in them. Sadly, voting is only open to residents of the United States even though MTV and the majority of artists are known internationally. But don’t worry, in this guide I’m going to show you how you can vote in the MTV VMAs and make your view count. Why is voting outside the US blocked? If you’re not in the US and you’ve tried to access the MTV VMA voting page then you’ll already know you’re blocked. Voting is not available in your location. The MTV VMA voting website knows your location because of your internet connection and that’s how they block you. The great news is you can bypass this block using a simple app called a VPN and vote in the MTV Video Music Awards from any country in the world. Using a VPN service from my recommended provider ExpressVPN you’ll be able to vote in every category including Video of the Year, Artist of the Year, Song of the Year to Best Pop, Best Hip Hop and more. Using a VPN from ExpressVPN you’ll also be able to vote for your favourite artists and groups which this year includes the likes of Ariana Grande, Bruno Mars and Camila Cabello. So if you want to vote follow the steps below. To vote in the MTV Video Music Awards outside the US you’ll need to get yourself a VPN service. These days there are hundreds of different companies offering them. 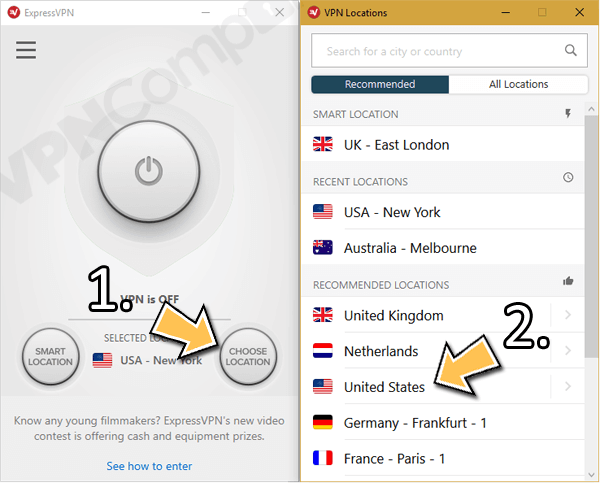 Without question my favourite is ExpressVPN because they’ve got a completely risk-free 30-day money back guarantee. If you struggle to get it working, just get your money back. Download the correct app for your type of device from the Products area of their website. Login to the app and select Choose Location. Press on United States and wait for the app to connect. Once the app has connected visit the MTV WMA Vote Page. Instead of seeing the block message you saw earlier you’ll now see voting categories with all your favourite artists. You can vote in all public categories and to cast your vote you’ll either need to sign in with your Twitter account or create a free MTV voting account. Don’t forget you can also vote once per category per day. So you can revisit every day and keep re-voting for your favourite artist or song. The ExpressVPN app unblocks the MTV VMA vote page. When are the MTV VMA’s taking place? The MTV Video Music Awards take place on August 20th, 2018. This means you’ve got plenty of time to keep voting for your favourite artists and songs. The voting system has long become a system where the most fanatical supporters put in the hard work to push their artist of choice up the voting table. As you can vote and re-vote daily it means you can really make a difference to your favourite artist and their chances of winning the sort after MTV awards. 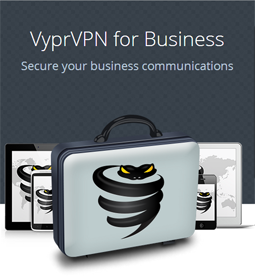 A VPN from the likes of ExpressVPN will allow you to join in from anywhere in the world. Although the MTV VMA voting system is usually restricted to US residents it’s easy to bypass those regional restrictions and make your vote count from anywhere in the world. If you’re a massive fan of Cardi B, Beyonce, Ariana Grande or others then you’ll definitely want to make your vote count in what is quite possibly the most important music award ceremony on the planet. Ordinarily you can’t vote in the MTV Video Music Awards unless you’re in the United States. However by using an app called a VPN you can make it seem like you are in the US which will let you vote in the MTV VMA’s. Just click the orange button below to get ExpressVPN which will let you vote in the MTV Video Music Awards. They’ve got a huge 30-day money back guarantee in the unlikely event you can’t get it working. Once you’ve signed up, download their app and connect to the United States. You’ll now be able to unblock the MTV MVA vote page and vote in all categories. Who do you want to win in this year’s MTV MVA’s? I’d love to hear your thoughts so why not let me know in the comments section below.